Theresa May has been warned that a lengthy delay to Brexit could destroy the Conservative Party, with a minister claiming it would be a Conservative "suicide note" if the UK had to fight the European elections. 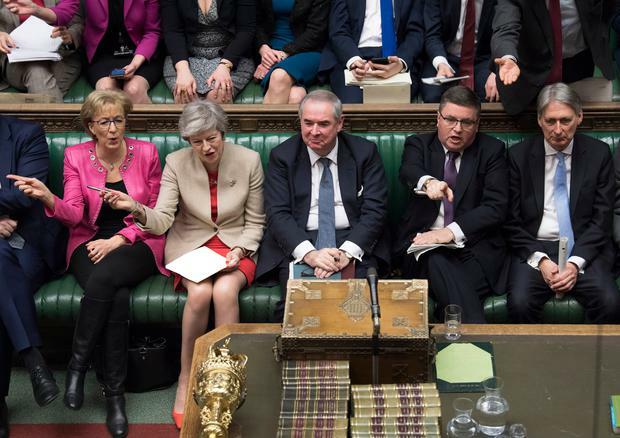 The stark warning about the "seismic" changes to British politics that would be unleashed if the May 23 European Parliament elections went ahead came as the government sought to revive talks with Labour aimed at finding a Brexit compromise. UK Education Minister Nadhim Zahawi said the situation needed to be resolved quickly in order to avoid the "existential threat" posed if the UK remained in the EU at the time of the elections next month. "It would be, I think, a suicide note of the Conservative Party if we had to fight the European elections," he said. He said that if Labour could not sign up to a joint approach, then MPs should be forced to find a compromise through a preferential voting system in order to resolve the situation. "We need to do that quickly because, I think, going into the EU elections for the Conservative Party, or indeed for the Labour Party, and telling our constituents why we haven't been able to deliver Brexit, I think would be an existential threat," he told BBC Radio 4's Today programme. Downing Street has offered further talks with the opposition this weekend after efforts to find a breakthrough stalled, but Labour said the Prime Minister had to come forward with "genuine changes". 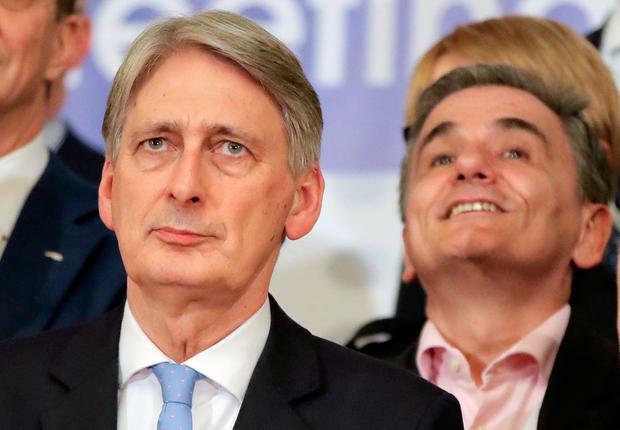 Chancellor Philip Hammond insisted the government had "no red lines" in the talks and he was "optimistic that we will reach some form of agreement with Labour". At a meeting of EU finance ministers in Bucharest, he said: "The conversations with the Labour Party are continuing, they were continuing last night, we are expecting to exchange some more texts with the Labour Party today." Asked about the prospect of a second referendum, he said: "We should try to complete this process in Parliament, that's the right way to do it. But we should be open to listen to suggestions that others have made. "Some people in the Labour Party are making other suggestions to us, of course we have to be prepared to discuss them. "Our approach to these discussions with Labour is that we have no red lines, we will go into these talks with an open mind and discuss everything with them in a constructive fashion." The talks appeared on the verge of collapse on Friday night after shadow Brexit secretary Sir Keir Starmer said the government was not "countenancing any changes to the actual wording of the Political Declaration", the blueprint for the future UK-EU relationship. Shadow home secretary Diane Abbott said: "We are engaged in these talks in good faith but the government perhaps has to show a little more flexibility than it seems to have done so far." Labour's position was that it wanted a customs union, single market alignment, protection of rights and "some kind of People's Vote". Pressed on whether any agreement must have a second referendum attached to it, she told Today: "We are not saying anything definitively but we have a position." While it "has to be part of the negotiations", Ms Abbott said "we have not gone into these talks being dogmatic". She added: "I think a People's Vote has its difficulties. I think if we had that vote tomorrow, I believe Leave would win." European leaders are considering Mrs May's request for another delay to Brexit, with a decision expected at Wednesday's emergency summit in Brussels. Mrs May has asked for a delay until June 30 but wants to terminate any extension before the European polls if she is able to get a deal through Parliament. European Council president Donald Tusk is recommending a longer postponement of one year, with a break clause in the case of earlier ratification, in a so-called "flextension" deal. But an extension is not automatic and requires the agreement of all 27 other EU countries, with France one of those most cautious about agreeing to it. French Europe Minister Amelie de Montchalin said an extension would require the UK to put forward a proposal with "clear and credible political backing" and "in the absence of such a plan, we would have to acknowledge that the UK chose to leave the EU in a disorderly manner". Mr Hammond acknowledged the frustration with the British among the 27 other EU members. "Most of the colleagues that I am talking to accept that we will need longer to complete this process, so I am optimistic about the council on Wednesday," he said. "I understand that EU colleagues are somewhat fed up that the process has taken as long as it has; we are also fed up that we haven't been able to complete this earlier, but I am very confident that we will get it done."